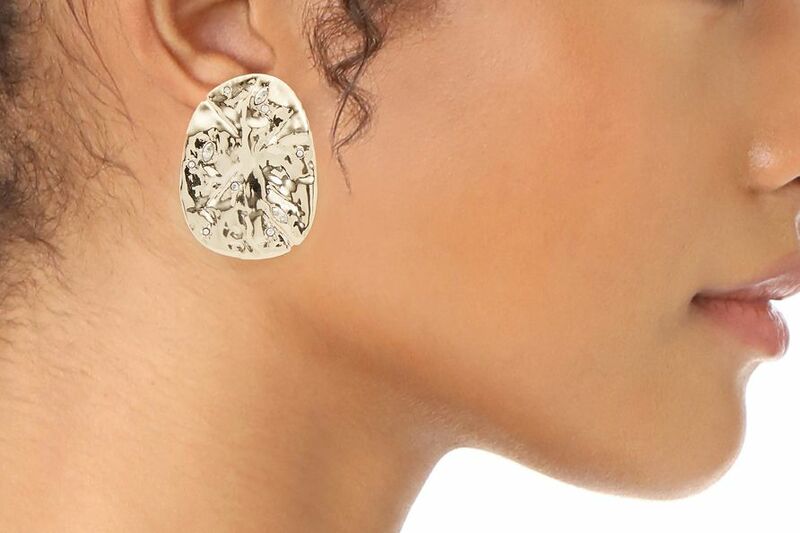 Ask the Strategist: Where Can I Find Clip-on Earrings? 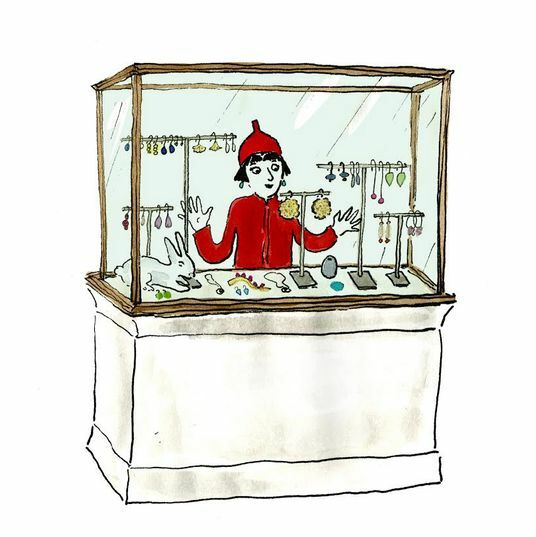 In our advice column, Ask the Strategist, we take your most burning shopping questions and scour friends, call up experts, and draw from personal experience to answer them. 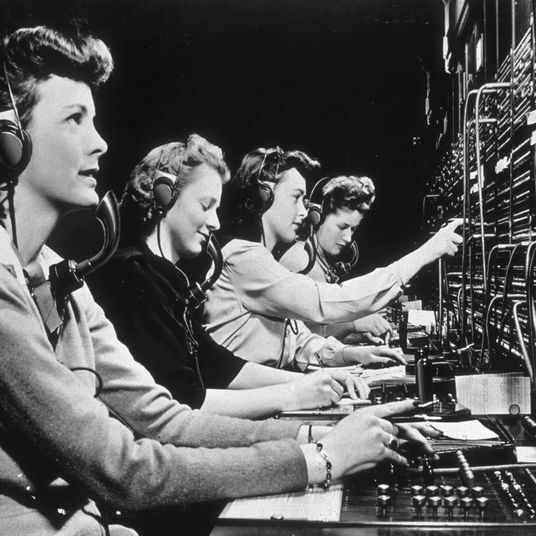 As always, please comment with one of your own — we’re here to help. 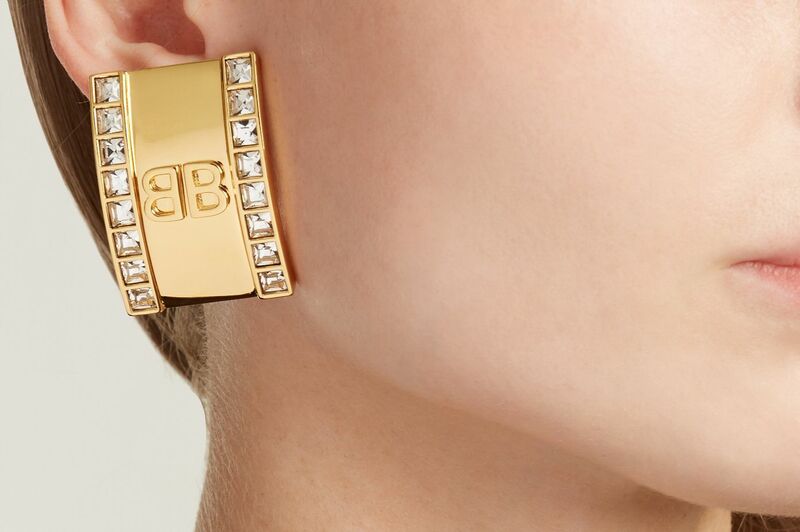 Question: I’m dying to know what clip-on earrings to buy! 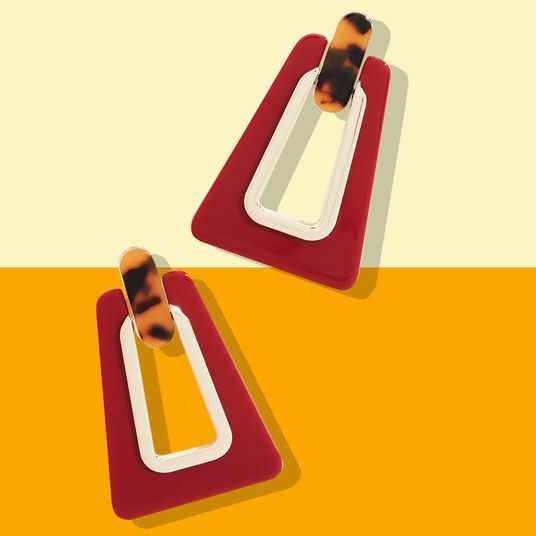 Has Marni cornered the market? 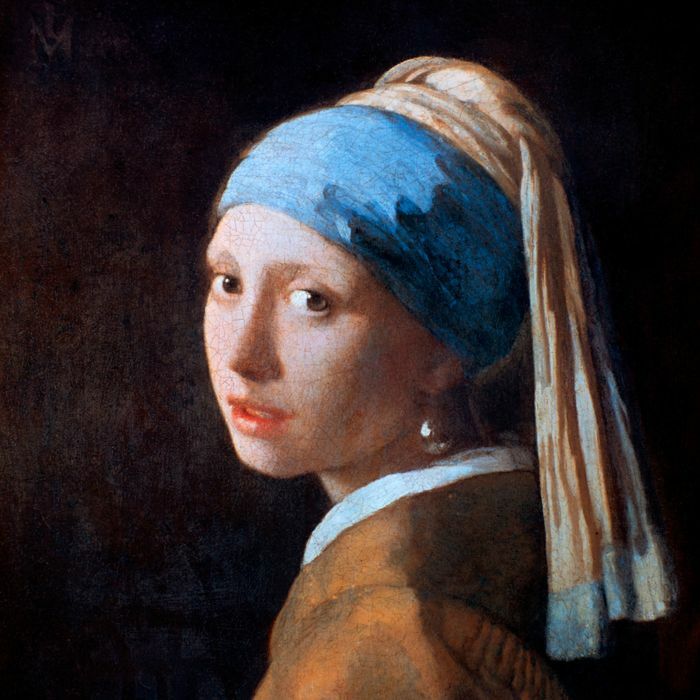 Where else can I find nice ones? 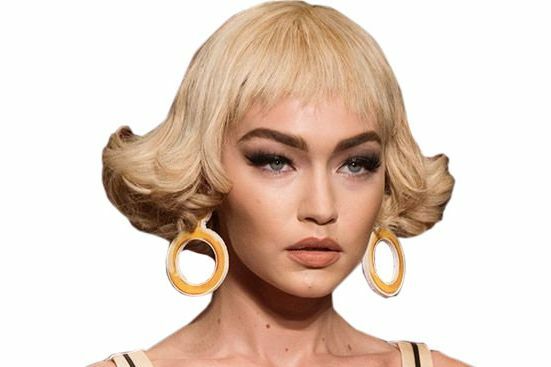 You’re right, Marni has a strong selection of clip-ons, but they’re by no means the only show in town. 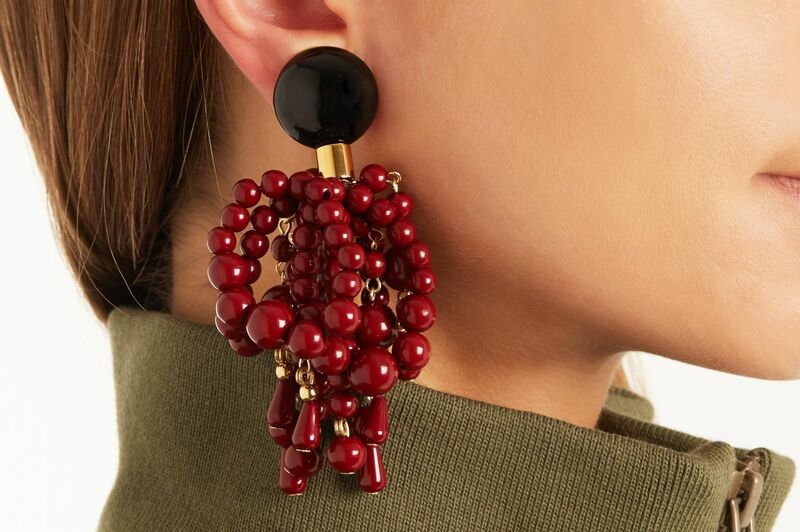 Oscar de la Renta is big on the scene, especially with tasseled options, Ralph Lauren makes a play, as does Alexis Bittar, Rachel Comey, and a bunch more. 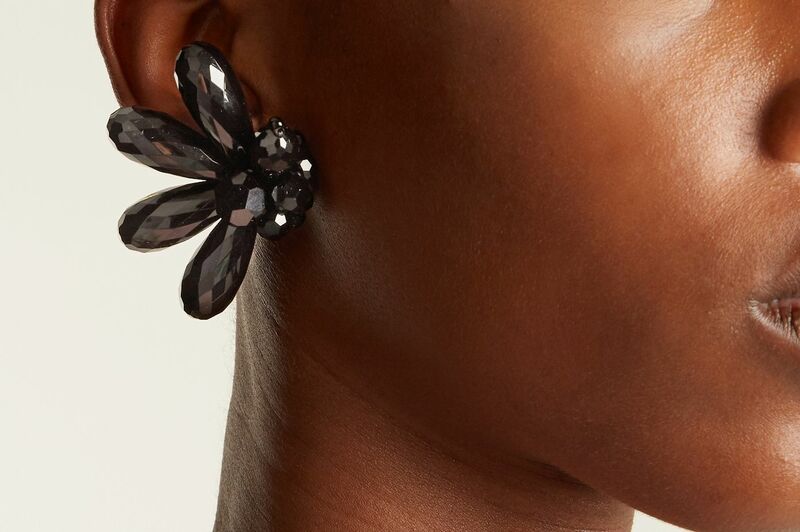 And let us just take a moment here to say that clip-ons aren’t just for people living without pierced ears. 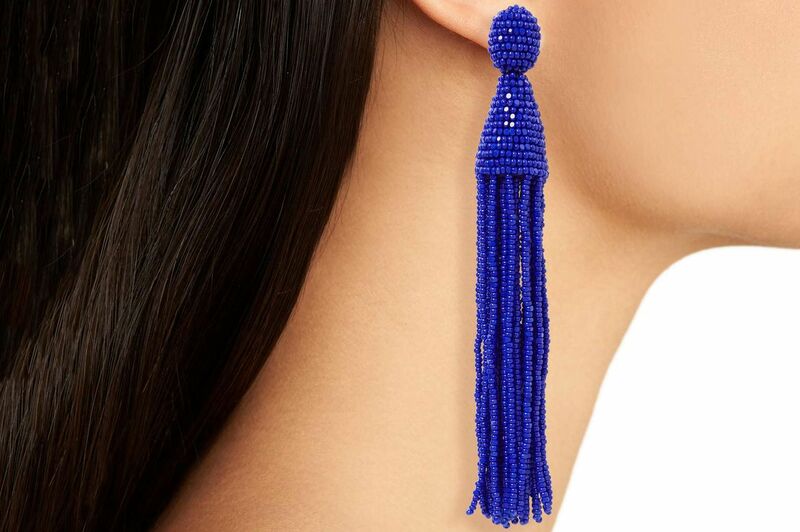 When it comes to heavy, dangling, statement earrings, it’s actually better if they’re clip-ons so that they don’t tear a slit straight down your ear (the ear’s biggest nightmare). 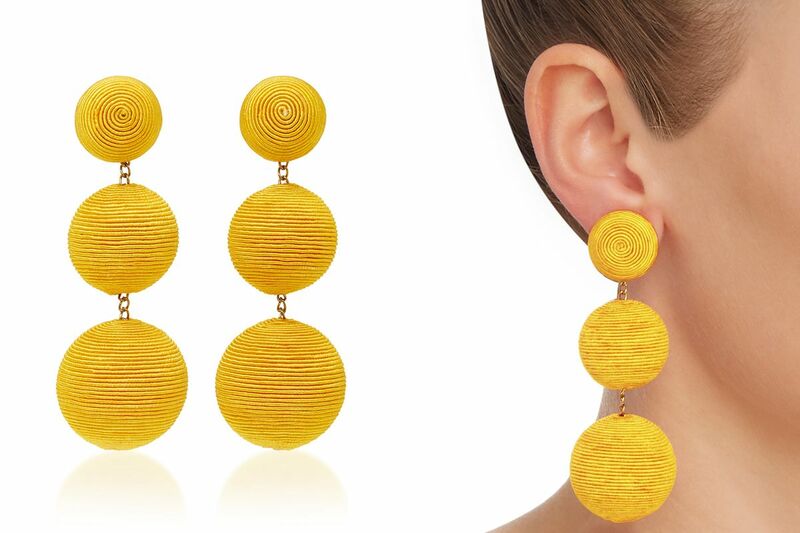 So here, we focused on the earrings that you might be too scared to wear in a hole, or that are just plain smarter to clip right on. 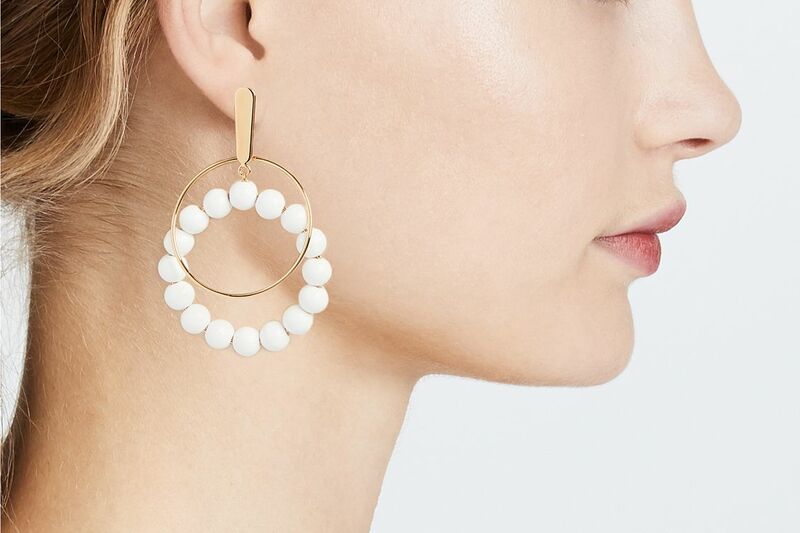 And if you’re looking for more dainty, expensive-looking earrings that are under $50, we’ve got a post for that, too. 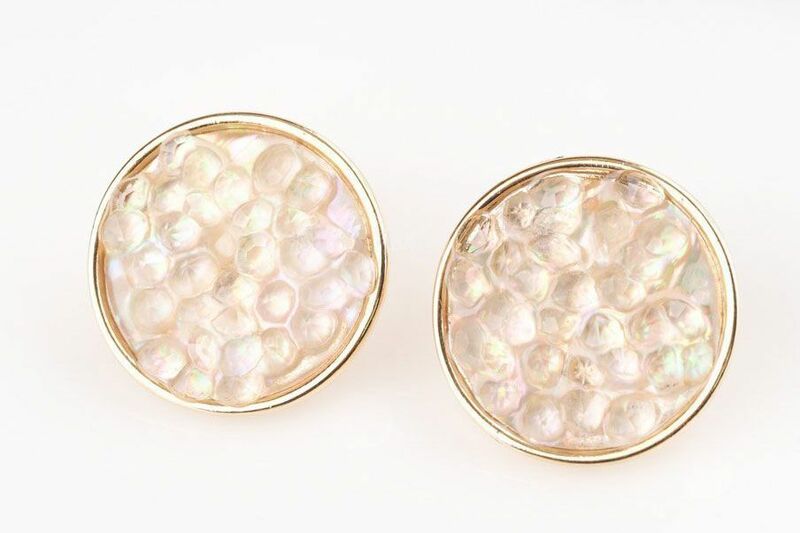 We’ll begin with some of the more affordable options, like this handmade, large ivory stud that’s inlaid with mother-of-pearl. 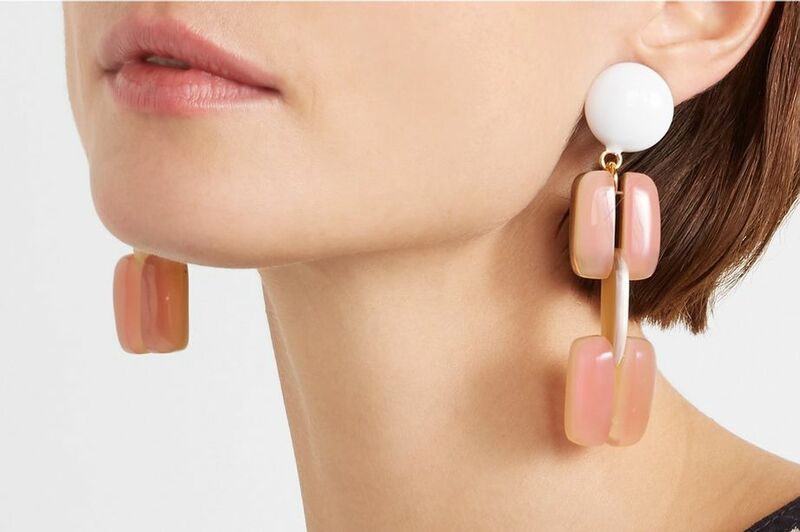 These dangling earrings look like they need a pierced ear, but they actually have transparent cuffs that just slip right onto the ear and hang on tight. They’re made out of plastic for metal-sensitive ears. 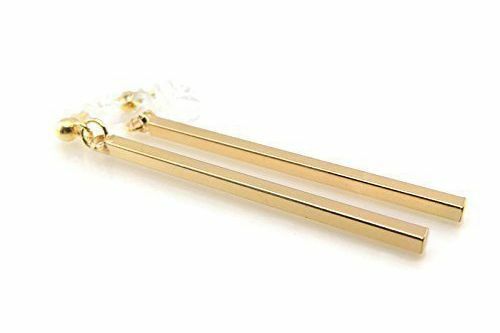 Same with these dangling bars, which are gold-tone, plated, zinc-alloy bars. They’re hypoallergenic and much, much lighter than metal. 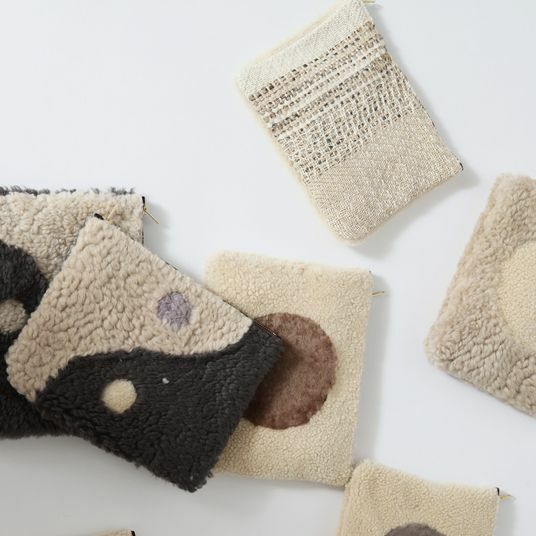 Since you began with Marni, we’ll get into that next. 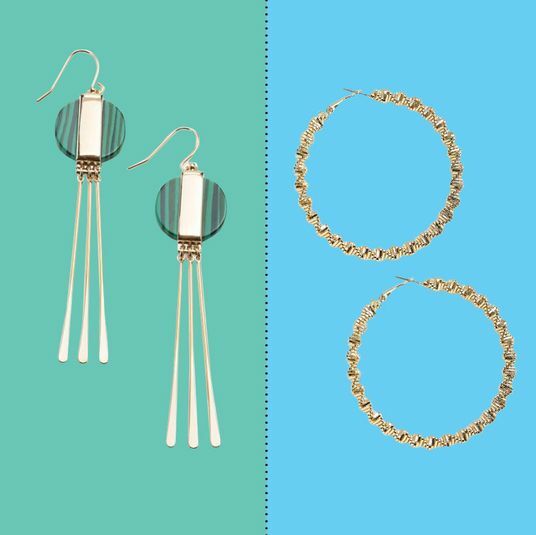 Here’s a pair of hybrid hoops that combine beads and metal. 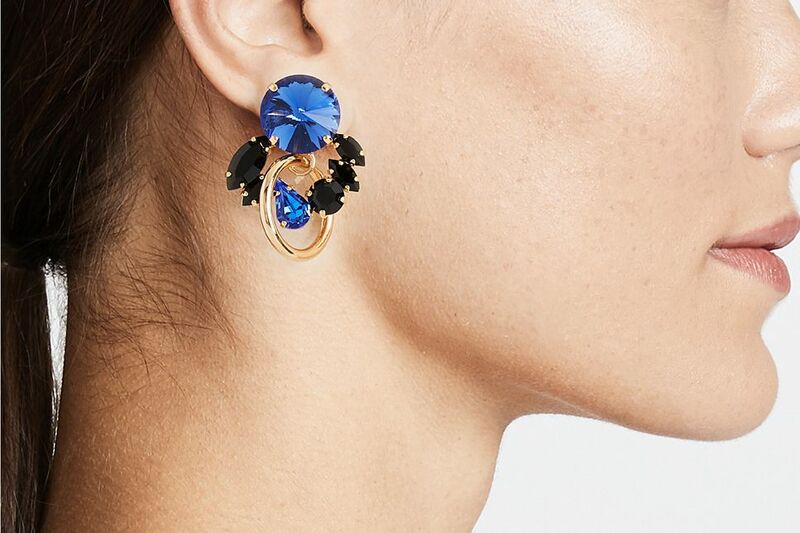 Staying on the hybrid theme, here’s a busy pair with stacked blue and black crystals that find each other beneath a gold hoop. 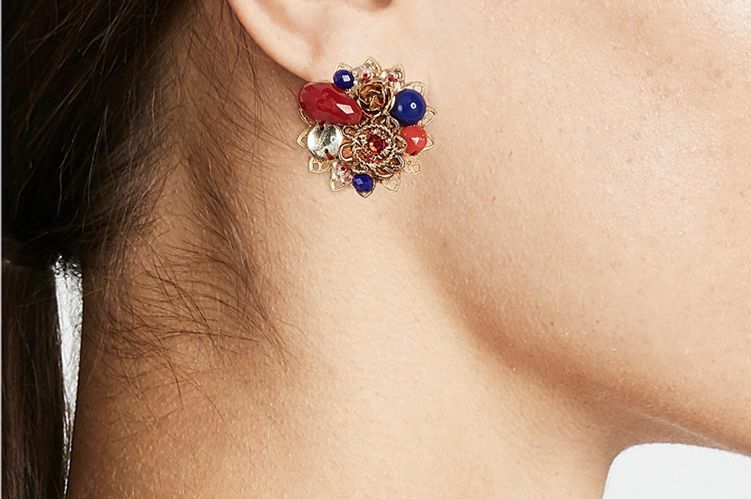 I love this bold beaded cluster. 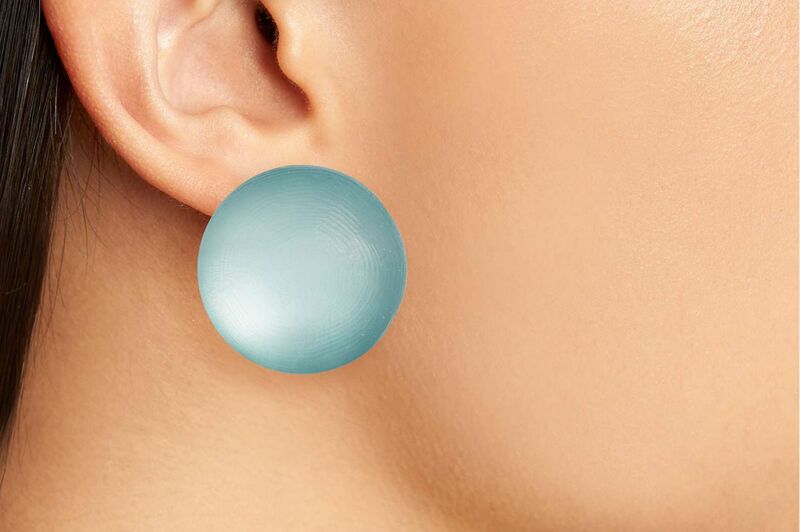 Here’s a geometric statement earring, made from resin. 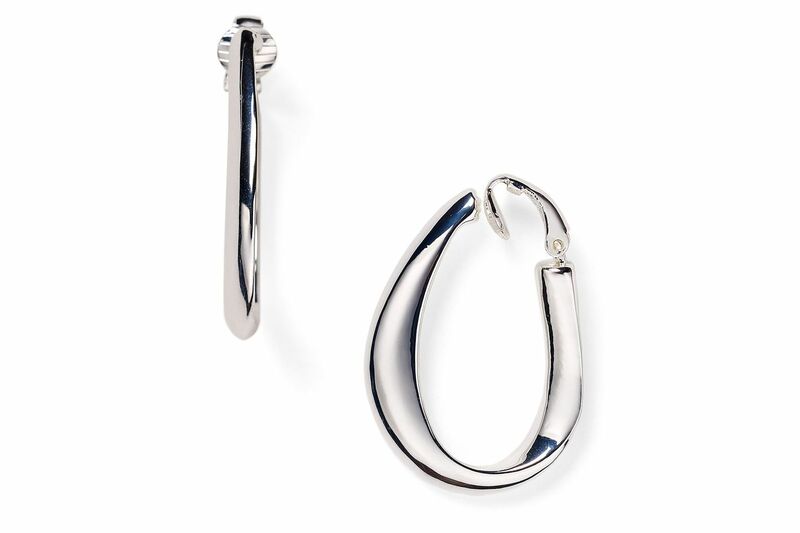 Now moving on to Ralph Lauren, who offers some of the simpler options, like these silver structural hoops. 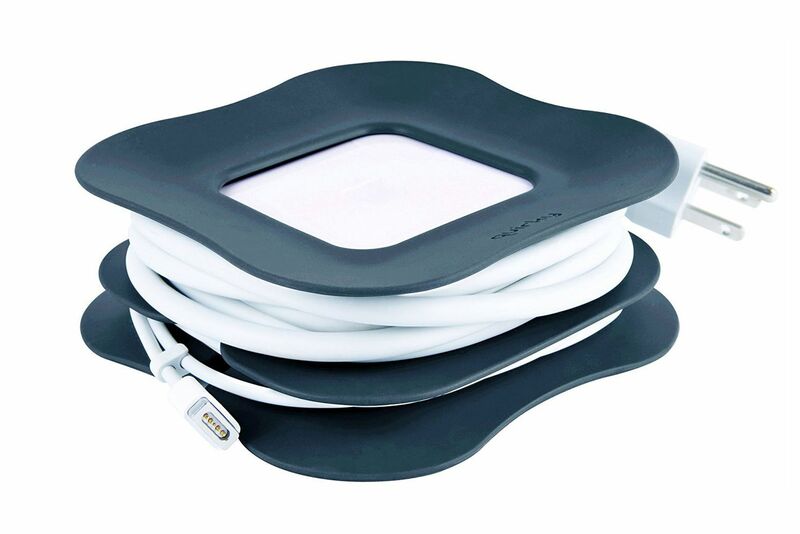 Or a much thinner version. 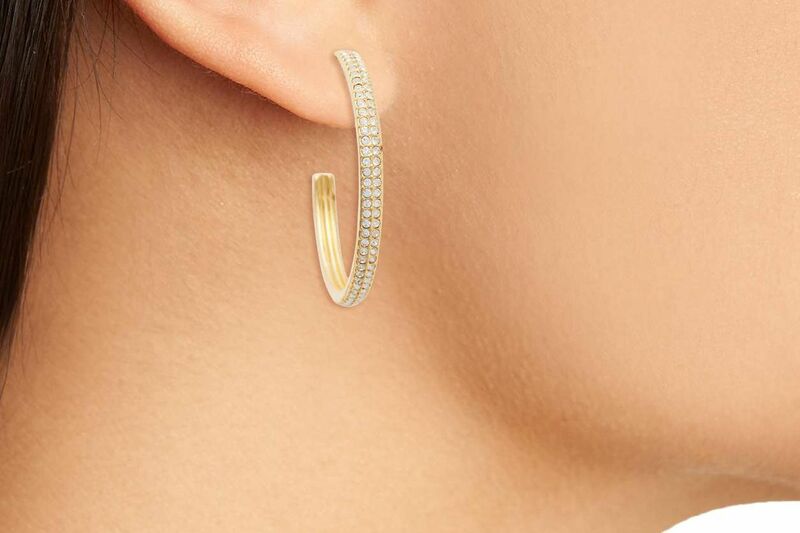 These ridged hoops come in both gold and silver. Here’s a moon-shaped crescent of gold from Robert Lee Morris. 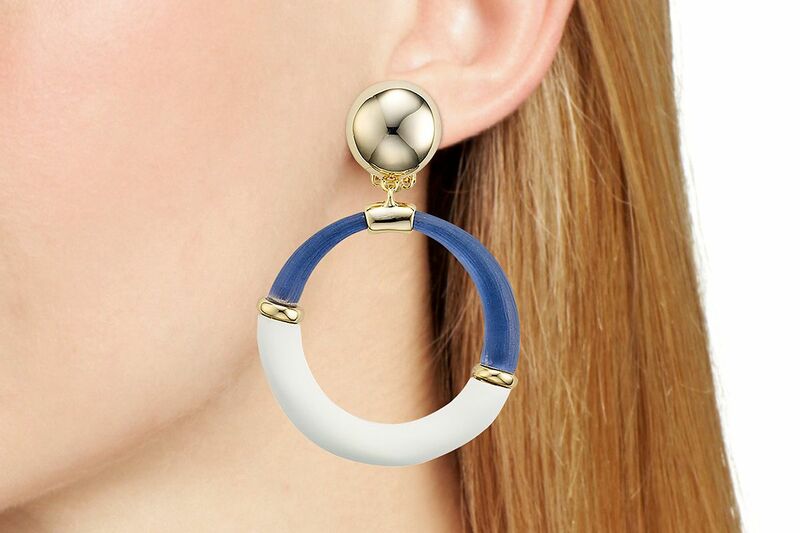 Alexis Bittar makes this pair of fun two-tone hoops. And these oversize Lucite domes that are painted by hand almost look like they’re glowing. 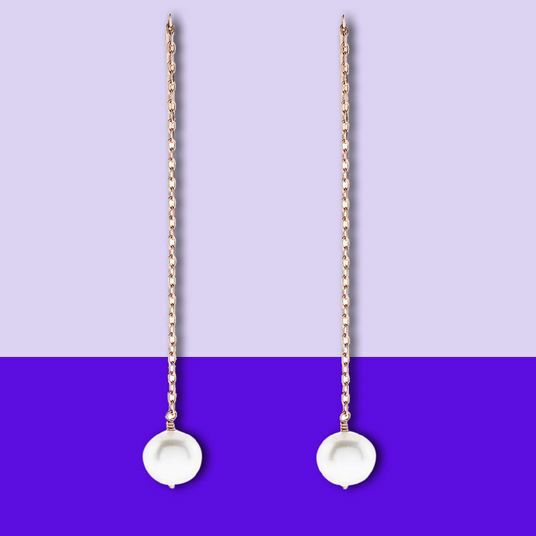 This high-shine watery-metal pair feel like an ocean wave on a sunny day. 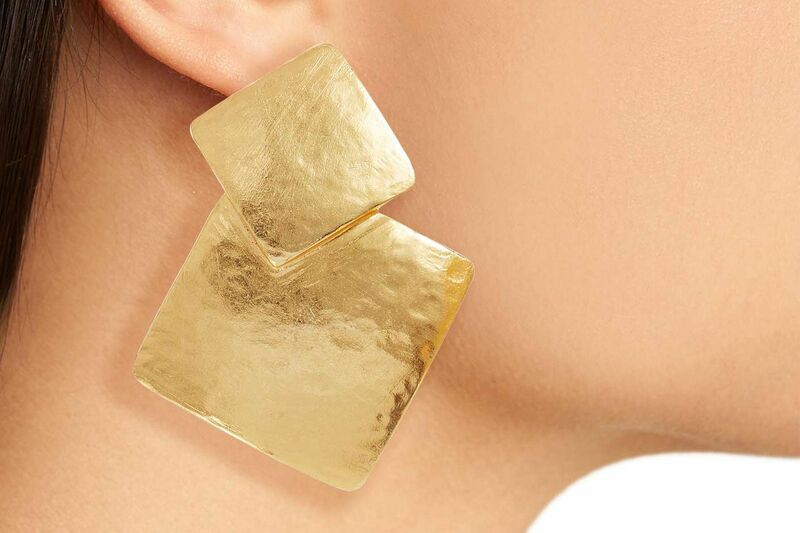 These hammered clip-ons are on sale for way over 50 percent off at just $47 (down from $155). And now for a moment on Oscar de la Renta. We’ll begin with a short tasseled pair that comes in 11 different colors. Pick your poison. 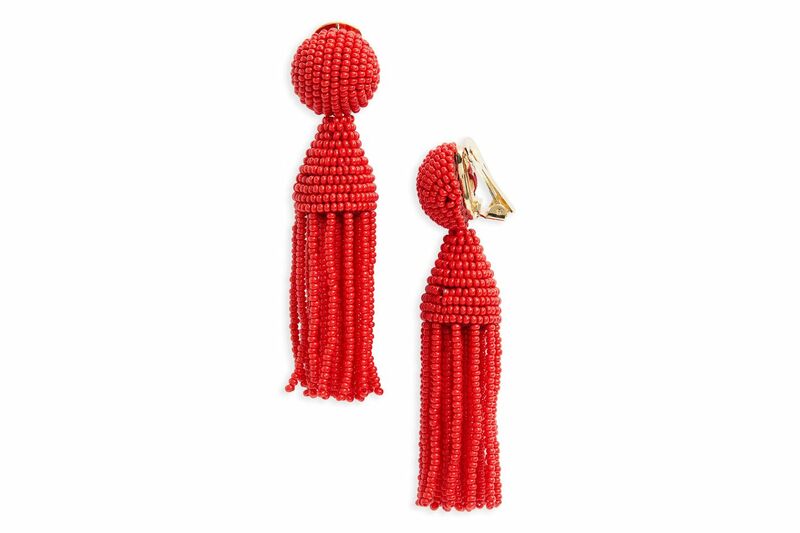 There’s also a long-tassel option, if you’d like it to graze your shoulder. A cascade of black and gray crystals now on sale for 30 percent off. 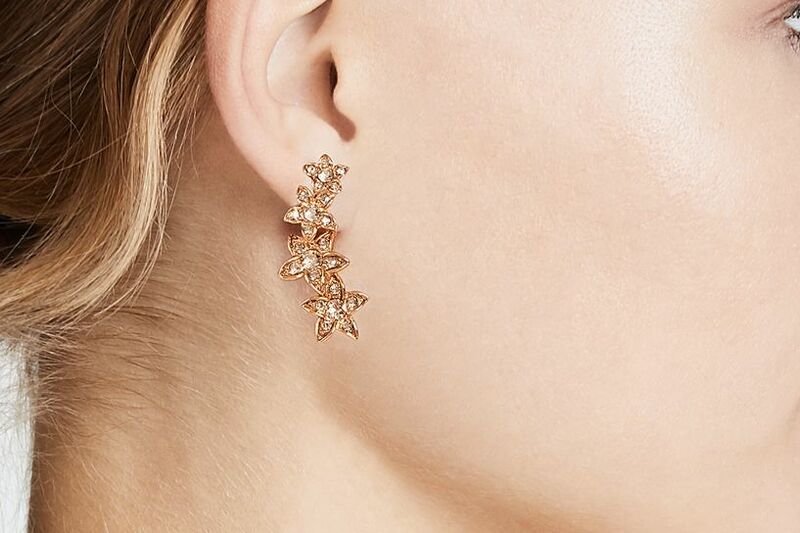 These are called the Star Fish and have an elegant curved string of four gold starfish with crystals. His playful “impatiens” have actual petals and the clips are padded for comfort. They also come in a color called grapefruit that I especially love. A nice stack of gold squares. 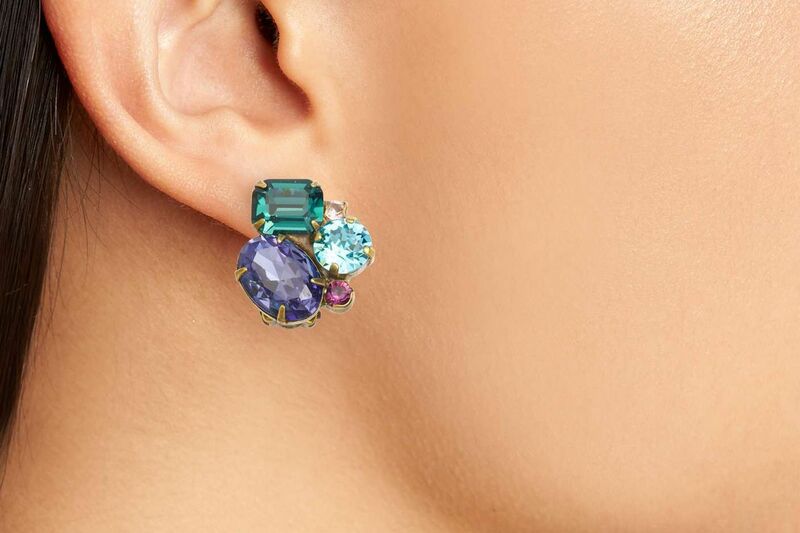 Moving on from Oscar, here’s a cluster of colorful stones. 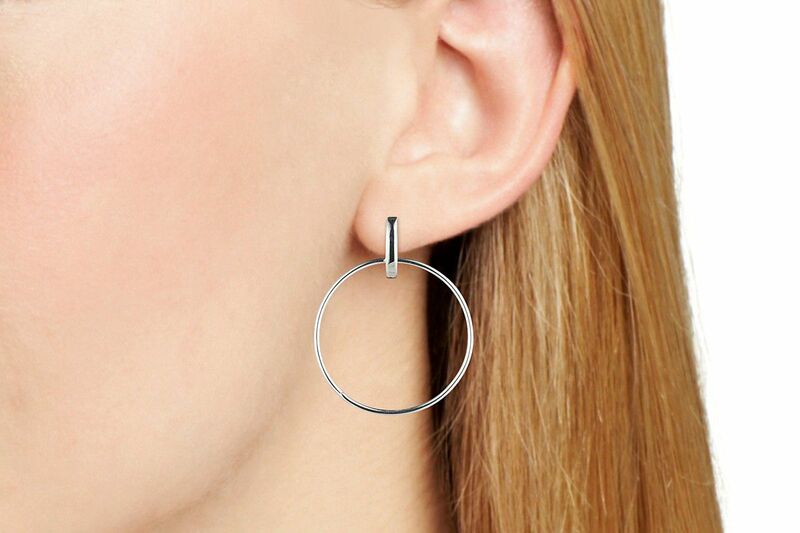 These midsize hoops are lined with two rows of cubic zirconia (no one will be able to tell the difference). 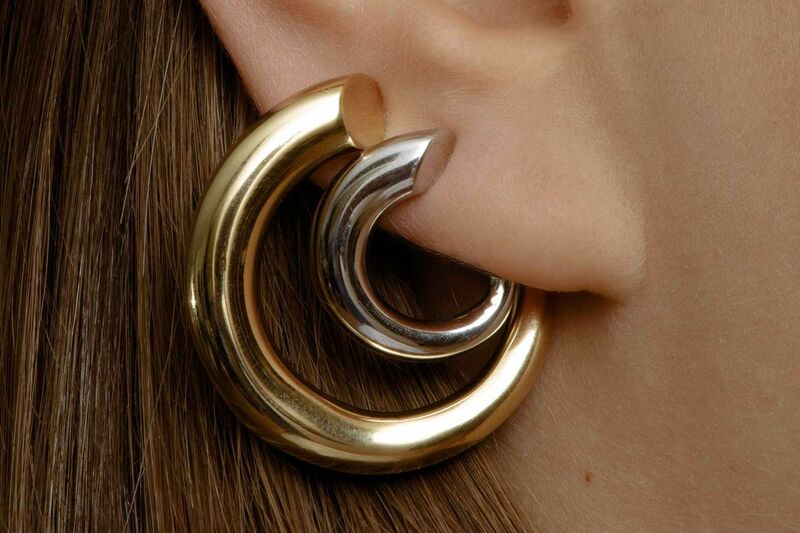 Another pair of gold statement hoops, this time from Charlotte Chesnais. These are handcrafted in France. 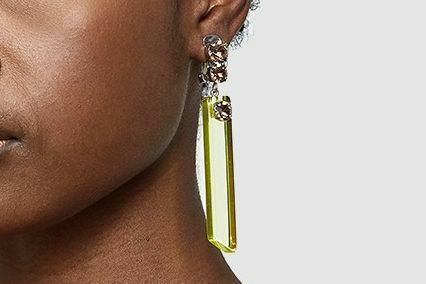 Rachel Comey designed these transparent lime bars topped with rhinestone pendants. 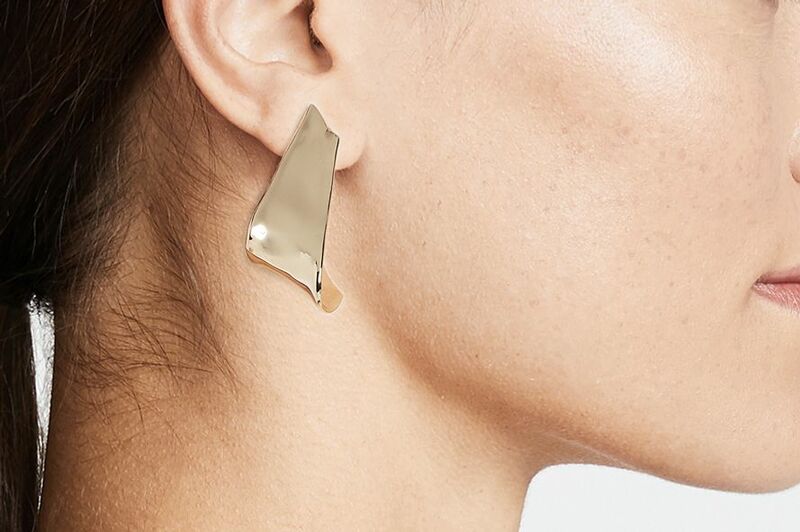 $175 at Need Supply Co.
You can also skip an earring altogether and go with cuffs that go around the side of the ear. 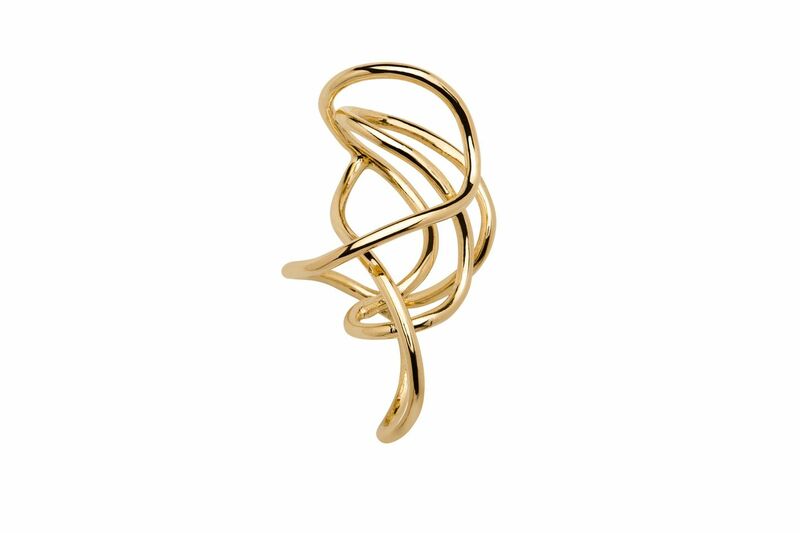 Jennifer Fisher makes this chaotic one that looks like a fancy scribble. 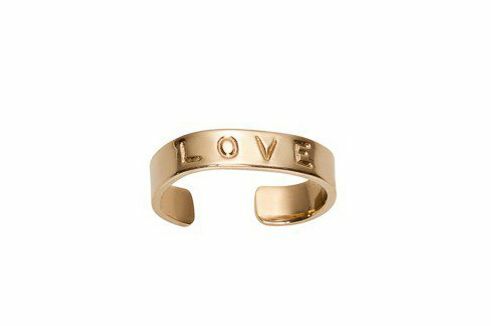 And this smaller, more straight-edge option that you can monogram and customize. 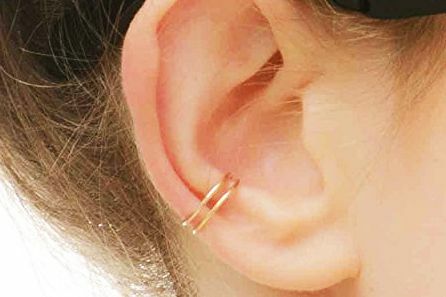 This $17 ear cuff is handmade in Israel. Another beaded cluster by Mercedes Salazar. This one’s about to sell out, so if you’re into it, act fast. 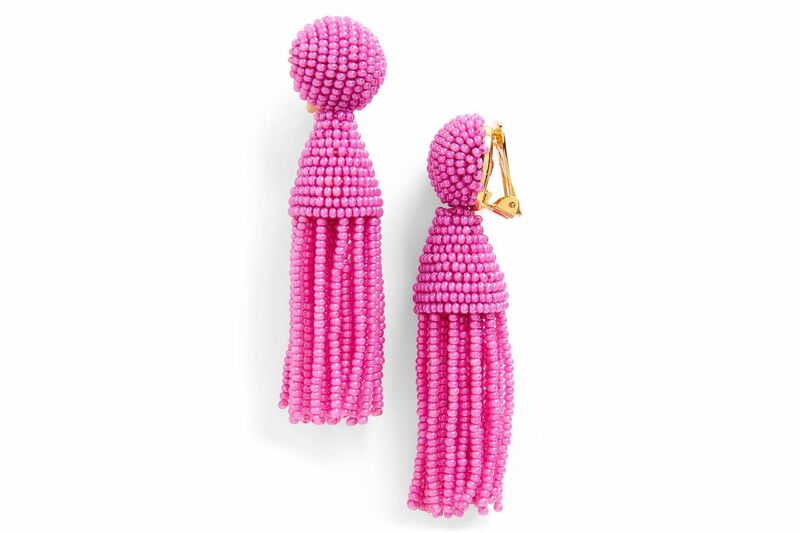 Sachin & Babi is all about the beaded spheres. 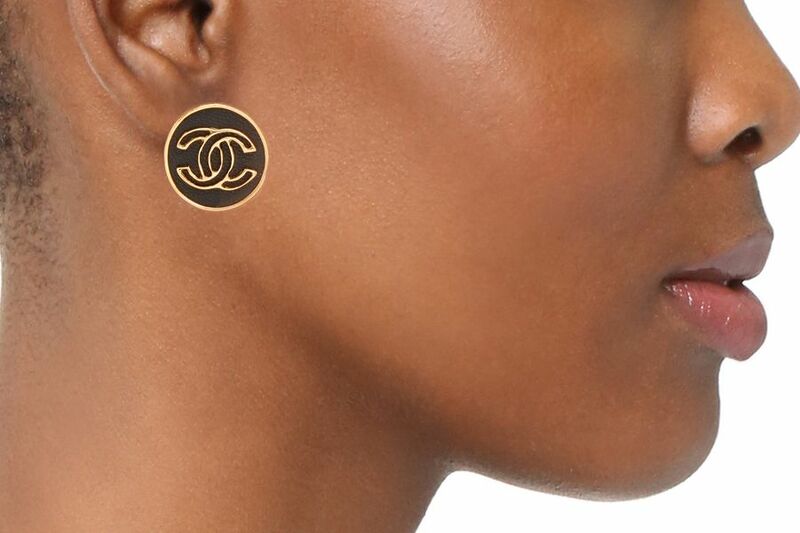 For the logo heads, scoop up these vintage Chanel button clip-ons. Here’s a single Balenciaga piece with a vintage logo from the A/W 17 line. A similar vintage-logo look also comes in an enchanting ocean-blue color. Another statement Balenciaga. 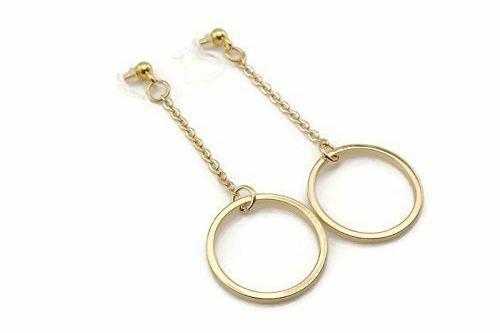 This is just one circular earring, perfect for an asymmetrical look, and it’s on sale for 50 percent off right now. 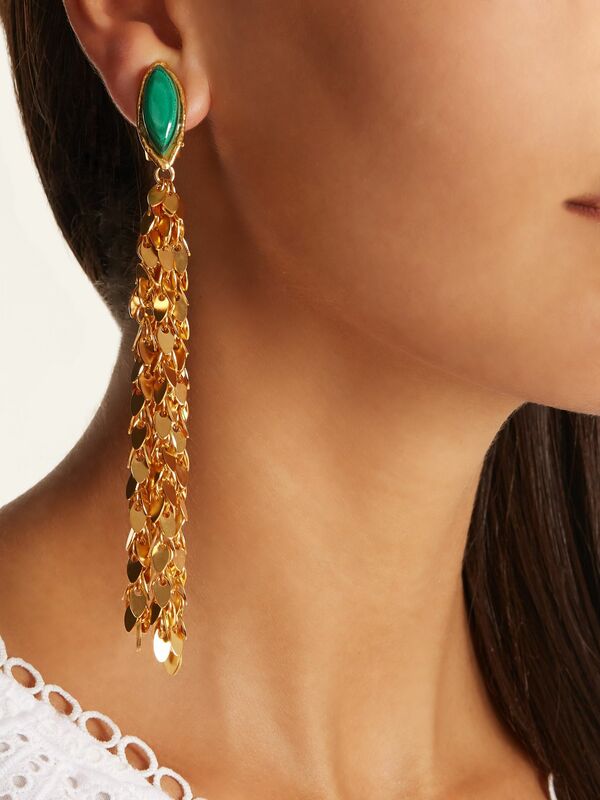 This fun, gold-plated hanging pair by Sylvia Toledano is also 50 percent off. And one last cluster of beads from Simone Rocha. 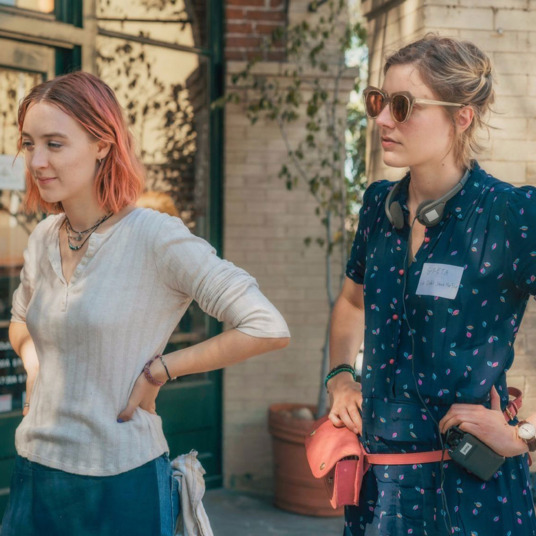 Ask the Strategist: Where Can I Find Greta Gerwig’s Fanny Pack?